Arsenal full-back Hector Bellerin has had successful surgery on the knee injury sustained against Chelsea. Bellerin, 23, was carried off on a stretcher in the 72nd minute of Arsenal’s 2-0 win on 19 January. Arsenal said he ruptured the anterior cruciate ligament of his left knee and will miss “six to nine months.””. 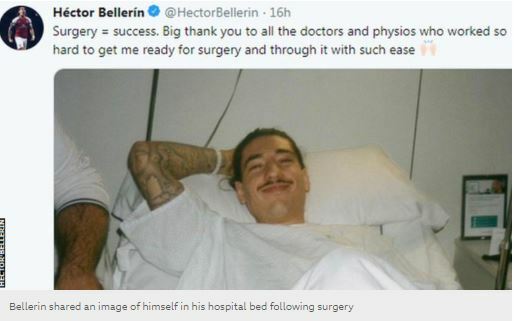 Bellerin tweeted that his surgery in Spain was a “success” and thanked doctors and physios for getting him through the procedure with “such ease”. 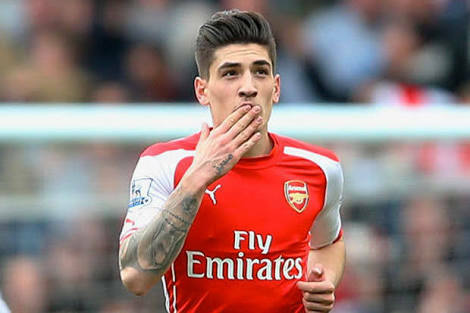 Bellerin has played 19 times for Arsenal in the Premier League this season.